A Prayer Chain is offered for those with special requests. Prayers are received by calling the prayer chain captain or the church office and the chain reaction begins by e-mail and by phone. The quilters group meet as mutually decided. You can contact the office for more information as to when, where, what, and for whom. The ladies have quilted all sorts of things such as banners for the sanctuary, blankets/quilts for M2M (Mission to Mexico), the homeless (distributed through Hosea Ministries and to the Mustard Seed and Bissell ministries). Our bible study this fall will be on Hebrews in a video format led by Lisa Harper. The Book of Hebrews is a rich, dense section of Scripture that can intimidate the most scholarly biblical student. 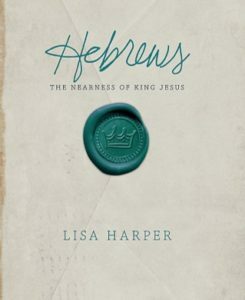 But Lisa Harper makes digging into Hebrews fun and doable, as only she can, without losing an ounce of depth. Hebrews was a sermon for a specific people and culture in the midst of martyrdom and persecution, but is also so relevant for us today, reminding us to continue walking towards Jesus regardless of our culture or our circumstances. Contact Shelly Osness at 780-458-4748 for more information.